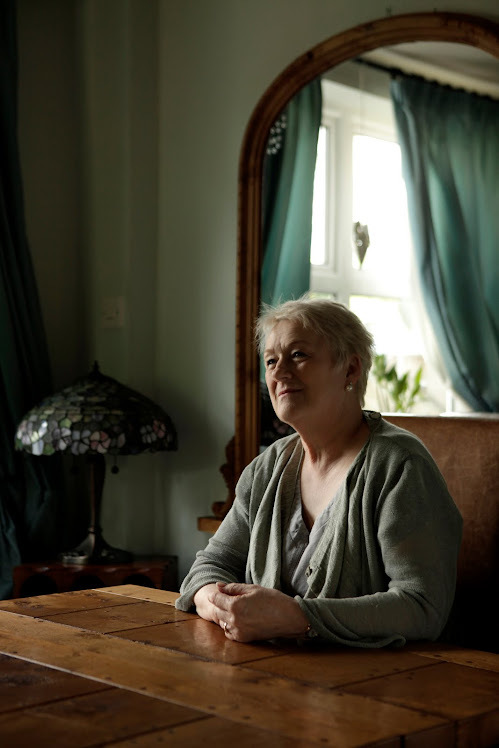 Sue Cox Diary of a recovered catholic, happy Atheist,Humanist - with just a tiny touch of ZEN! : RED HAT- NO MORALS ! 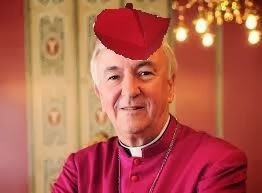 Well Vincent Nicholls is heading off to Rome to be made a Cardinal ! I can’t help wondering how these people are chosen? It seems that the more duplicitous they are or indeed the more “insipid”, the more likely a candidate they become. This man has a lot of “baggage”, his record with abuse Survivors is abysmal and bordering itself on the abusive. This is a huge slap in the face to those who have been battling against the church in England for many years, only to be disregarded, lied to, and at best patronised by this man. I remember many years ago, the sum total of his interest in my own abuse was to send me a letter telling me he would pray for me! It made good fuel for my fireplace! In the week when yet another victim of these people committed suicide after waiting for years for justice, this creep is being rewarded , presumably for his lack of compassion and loyalty to a crumbling narcissistic archaic organisation. “I just wish people could see him close up like I do- they would see he is lovely- he really is” YUK! They say he is being “admitted” to the pope’s “inner circle”, well that in itself rings very big alarm bells! One wonders how many crimes one has to be a party to in order for that to happen! You certainly would not get there for “good works” , "honesty", "integrity" or "decency", that is not the criteria! He is joining a whole team of dubious creatures, Cardinal Bernard Law, still wanted by the U.S. for his part in the cover ups in Boston.The Archbishop from the Netherlands who after being implicated in the criminal cover ups was whisked away to Rome to be made a Cardinal ! The Papal Nuncio from the Dominican Republic, who procured young boys (three at a time) for his bed, who is wanted for extradition by that country and Poland, but who has “suddenly” become a citizen of Vatican City who tell us they are “very sorry” but vatican law doesn’t allow for extradition! There are many many more skulking away in the vatican,hidden, protected and privileged. He is joining the ranks of Misogynists, Homophobes and Narcissists, and I believe he will fit in very well. It is disappointing that along with their ridiculous red hats cardinals don’t get to live permanently with “Il Papa” because we will unfortunately continue to be subjected to this man in our country where he is neither use nor ornament. In England there is a rude playground saying: "Red shoes- No drawers"!